DetailXPerts gives you a list of provisions that you must be aware of before signing a franchiser agreement. Every businessman knows that a franchise agreement is necessary when starting a franchising business. It is a legal and binding document between the franchisee and the franchisor. However, there are details that franchisees miss out when looking at the franchise agreement that are equally important. Learn more about the other important details that should be included in the document before you affix your signature in the franchise agreement. 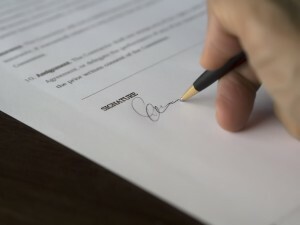 According to ContractStandards.com, the termination provision in the franchise agreement tells both parties the conditions that can lead to the end of the contract and who can do such action. It should also include the responsibilities related to termination. This part of the franchise agreement explains the fees involved during a certain cancellation or termination of the franchise agreement. Similarly, the franchise agreement should also include an after-termination provision. Whichfranchise.co.za says that after-termination clauses provide the information on what the franchisor is entitled to receive after termination in relation to the reasons of termination. A group of lawyers from the UK advises that a franchise agreement should include renewal policies. This clause should tell both parties the necessary requirements in the event of an upgrade. This is also applicable when intending to bring the franchise agreement to termination. The clause should clearly define fees related to renewal and upgrade and who should shoulder these costs. Franchising.com also mentions that some franchise agreements include arbitration clauses in cases of legal action. Franchisor obligation provisions should include 2 parts. The first part should enumerate the initial obligations and the other part is the list of ongoing obligations. The franchisee should pay particular attention to this part of the franchise agreement because the franchisor will not be responsible for things that are not clearly stipulated in this section. As a franchisee, make sure that the franchisor will assist and support you in various areas of the operation like training and ongoing managing of the franchise business. Most often, this part of the franchise agreement states that the franchisee should abide by the rules of the business manual. According to Special Legal Counsel Ludemann, restraint clauses protect the franchisors’ interests so that the franchisee will not engage in a business similar to that of the franchise business. Franchisees should be wary of this most especially if an existing business in another location is operated by the franchisee. Make sure the rules have clear guidelines in terms of requirements like location, services rendered, etc. Another important part of the franchise agreement is the dispute resolution process clearly explained. GreatFX printing blog advises it should also be interrelated to the process of termination if needed. AllBusiness.com describes this part of the franchise agreement as the explanation of the processes related to the franchise business. In some instances, it should be stated in the franchise agreement that both parties should keep the operating protocol updated. It should be amended when necessary. Note that there is no standard format of a franchise agreement. As such, the above details should not be taken as legal advice. It is best to consult with a licensed franchise attorney and discuss details about the franchise agreement most especially if there are items that seem vague or misleading. Evaluate the franchise business you want to be a part of. Lastly, make sure you work and partner with stable franchise businesses that will take care of your franchisee’s rights. DetailXperts offers a franchising opportunity that allows franchisees to voice out all their queries at its headquarters to prevent issues that may arise. The 5 stage application process is unique and truly effective. Discover DetailXperts today! Enjoyed this post? Sign up for our newsletter to receive more valuable business and franchise info, ideas, and extras!